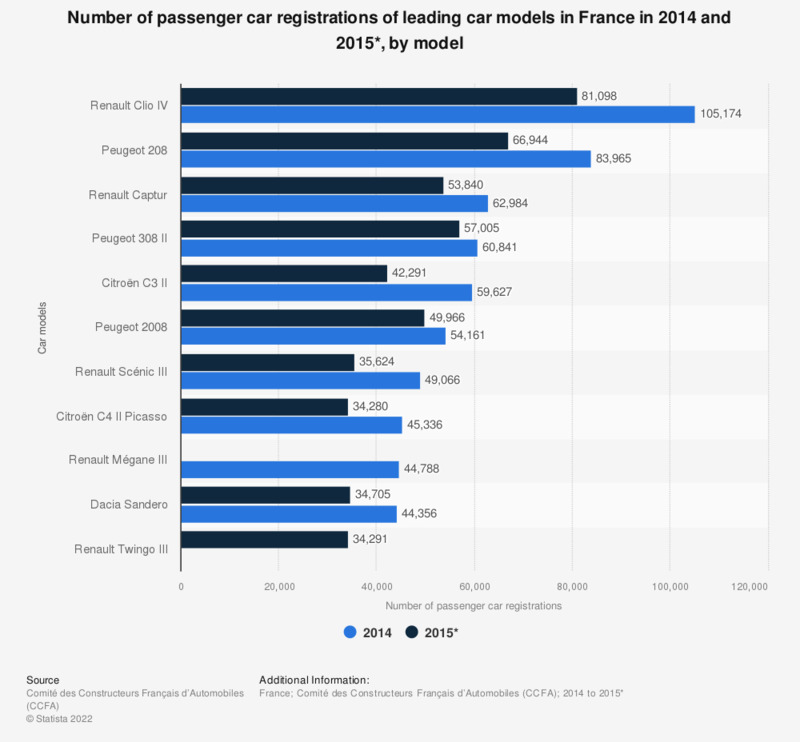 This statistic ranks the number of passenger cars registered in France in 2014 and 2015, by model. Nine out of the top ten passenger car models sold in France were produced by French brands, namely PSA Peugeot Citroën and Renault. The Renault Clio IV model was the most popular in both 2014 and 2015.